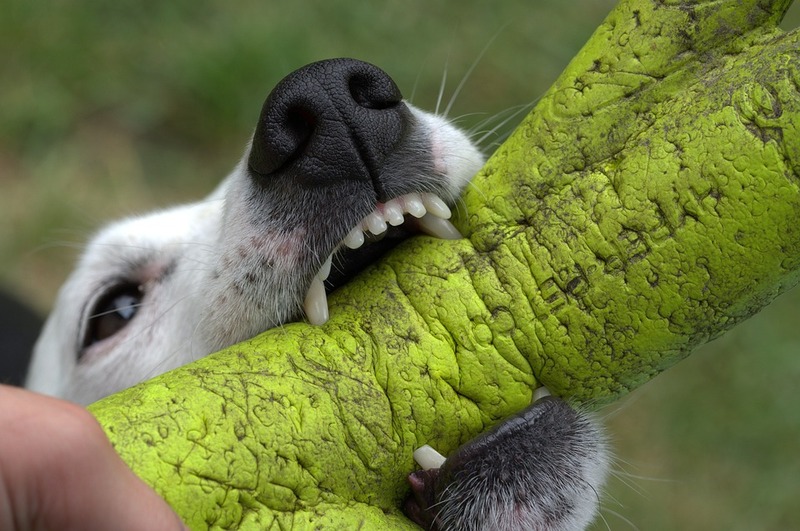 While thousands of animal bites are reported to local health departments and animal control offices in Virginia each year, many of these are preventable. 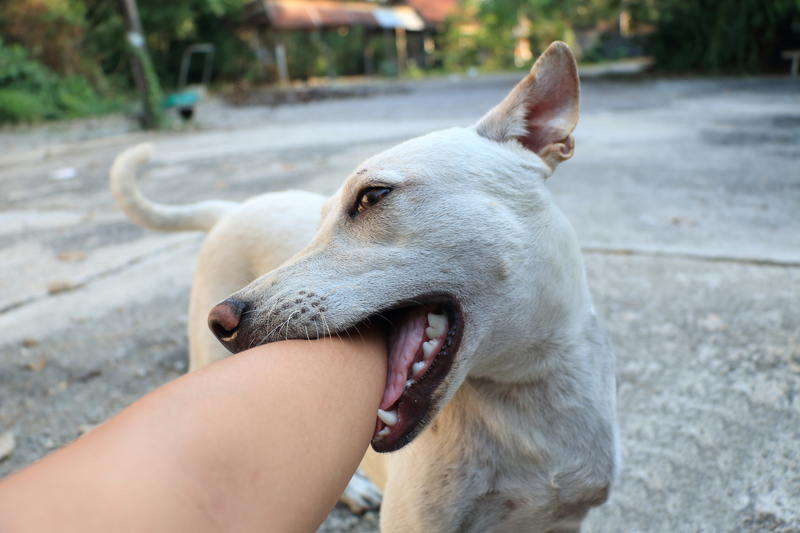 The most common bites reported are from dogs and cats, but people are sometimes bitten by wild animals. Children can be particularly vulnerable to animal bites. Not only do bites cause pain and injury, but they can also spread infection. Preventing bites means being aware of the risks and learning how to enjoy being around animals without getting bitten. More information about how to prevent bites is available below. Never pet, handle, approach, or feed wild animals. Educate yourself and your children on if, and how, to approach a dog or animal. Never approach an unfamiliar dog without asking the owner. Let the dog sniff your hand first before petting it. Approach politely and quietly with a relaxed demeanor. Animals communicate with their body language- PAY ATTENTION. If you recognize these signs or feel uncomfortable, do not run away and/or scream. Try to put something (purse, backpack, jacket, etc.) between yourself and the dog. If you do become knocked over, roll into a ball and cover your ears and neck with your hand. Remain motionless. Do not approach a dog while they may feel threatened, protective, or territorial (sleeping, chained, eating, playing with a toy, caring for puppies, injured etc.). Immediately wash your wound with soap and water and seek proper medical attention. 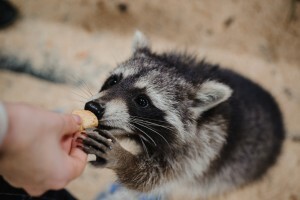 Anyone who is bitten by an animal is at risk of getting rabies, therefore contact your local animal control, local health department, or police to report the incident. Spay or neuter your pet as unneutered pets are at an increased risk of biting people. Adhere to rabies vaccination guidelines to protect yourself and your pet from rabies. Take your pet to routine check-ups at their veterinarian to keep them healthy and well. Confine your pet to a defined area such as a fenced yard when it is outside. Avoid leaving your pet chained for long periods of time as this could increase likelihood of aggressive behavior. Avoid situations that may cause your pet to feel threatened or teased. Properly train your pet to obey commands such as “sit”, “stay”, and “come.” Safely socialize your pet to other animals and people of different ages. Animals can be a very important part of our lives and pets can have many health benefits. While disease transmission between animals and people can occur, in most cases, basic infection control methods can be used to prevent disease spread. Some germs that people may be exposed to by contact with animals can cause intestinal illness. 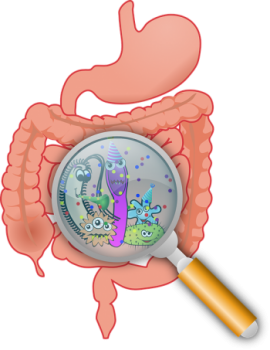 Intestinal illnesses often produce symptoms such as diarrhea, vomiting, abdominal cramps and fever and are typically spread by having oral contact with even a small amount of feces. That is why routine handwashing, at the very least before you eat, after you go to the bathroom and any time your hands are visibly dirty, is a critical part of helping to decrease the likelihood that you will become sick with an intestinal illness. For more information about germs causing intestinal illness that you may be exposed to by direct contact with animals, please visit the information found on the Fact Sheet, Data and Resources pages below. Campylobacteriosis is an infection caused by bacteria called Campylobacter. It affects the intestinal tract (gut) and causes diarrhea. Anyone can get campylobacteriosis, although babies and children are more likely to have serious illness. Campylobacter is one of the most common causes of diarrheal illness in the United States. The bacteria are commonly found in the gut of animals and birds, which carry the bacteria without becoming ill. The bacteria can infect people who drink unpasteurized (raw) milk or contaminated water, or eat undercooked meats and organs, especially chicken. Just one drop of raw chicken juice can contain more than 500 bacteria, enough to cause illness. Other food items can be contaminated, for example, from improperly cleaned cutting boards. Handling infected animals, without carefully washing hands afterwards, may also lead to illness. Cryptosporidiosis (also referred to as “Crypto”) is a diarrheal disease caused by a microscopic, single-celled parasite called Cryptosporidium parvum. Anyone can get cryptosporidiosis, but it may be more common in persons under two years of age, those who travel, work with animals, or are in close personal contact with infected individuals. People with weakened immune systems, such as people with HIV infection or receiving chemotherapy, are more susceptible to the disease. Cryptosporidium parvum has also been responsible for disease outbreaks in children and staff in daycare centers. Escherichia coli (also called E. coli) are bacteria that normally live in the intestines of humans and animals such as cows. Most strains of the E. coli bacteria do not cause illness. However, strains that produce toxins, referred to as Shiga toxin-producing E. coli (STEC), can cause serious illness. E. coli O157:H7 is the most common type of STEC, but other types exist. Anyone can get an STEC infection, but young children and older adults are more likely to have severe Illness. Giardiasis is an intestinal illness caused by a microscopic parasite called Giardia. It is a fairly common cause of diarrhea throughout the U.S. and the world. Anyone can get giardiasis, but it tends to occur more often in people in daycare centers, international travelers, and individuals who drink improperly treated surface water (such as hikers drinking from a stream or people swallowing water while swimming in a river or lake). The parasite has to enter the mouth to cause infection. This happens when people and animals infected with Giardia shed the parasite in their feces (stool) and the feces then contaminate surfaces, food, or water. People then can become infected by touching contaminated surfaces, getting the parasite on their hands and then putting their hands in their mouths, or by eating the contaminated food or swallowing the contaminated water. Salmonellosis is a disease caused by bacteria called Salmonella. It usually affects the bowels (gut) and causes an illness that lasts several days to a week. If the Salmonella bacteria spread to the blood, a more serious illness develops. Any person can get salmonellosis, but it is identified more often in infants and children. The elderly, infants, and those with impaired immune systems are more likely to experience severe illness. Salmonella can contaminate raw meats, including chicken, eggs, and unpasteurized milk and cheese products. These bacteria are also found in the feces (stool) of infected persons or pets (e.g., reptiles, chicks, dogs, cats). Rabies is a deadly disease caused by a virus that attacks the nervous system. It kills almost any mammal or human that gets sick from it. The rabies virus is mainly in the saliva and brain of rabid animals. It can be transmitted through a bite or by getting saliva or brain tissue in a wound or in the eye or mouth. If your pet is attacked or bitten by a wild animal, report it to the local health or animal control authorities. Be sure your vaccinated dog, cat, or ferret receives a booster vaccination. Do not keep wild animals as pets. Enjoy all wild animals from a distance, even if they seem friendly. A rabid animal sometimes acts tame. If you see an animal acting strangely, report it to your local animal control department and do not go near it yourself. Don’t panic…but don’t ignore the bite, either. Wash the wound thoroughly with soap and lots of water. Washing thoroughly will greatly lessen the chance of infection. Give first aid as you would for any wound. If possible, capture the animal under a large box or can, or at least identify it before it runs away. Don’t try to pick the animal up. Call an animal control or law enforcement officer to come get it. It’s critically important that you notify your family doctor immediately and explain how you got the bite. Your doctor will want to know if the animal has been captured. If necessary, your doctor will give the anti-rabies treatment recommended by the United States Public Health Service. Your doctor will also treat you for other possible infections that could be caused from the bite. Report the bite to the local health department. These documents are meant to provide quick reference for animal healthcare providers in regard to common rabies exposure issues. 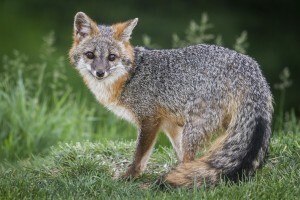 More detail about rabies and rabies exposures can be found in the Virginia Guidelines for Rabies Prevention and Control. In addition, further information can be obtained from your local health department. A directory of local health departments can be found at http://www.vdh.virginia.gov/local-health-districts. 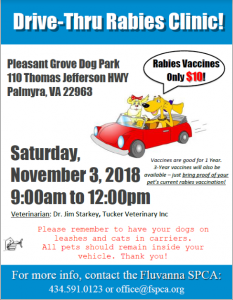 Rabies vaccination clinics may be offered outside of a registered veterinary establishment if the requirements found in § 3.2-6521 of the Code of Virginia are met which includes approval by the appropriate local health department and governing body. More about what veterinarians in Virginia should know about rabies clinics can be found in the guidance document 150-12 “Administration of rabies vaccinations, revised December 16, 2016” available on the Virginia Board of Veterinary Medicine’s Guidance Documents page at https://www.dhp.virginia.gov/vet/vet_guidelines.htm. While rabies clinics held in a licensed veterinary facility do not require local government approval, veterinarians who offer low cost rabies vaccinations through their hospitals on a routine or periodic basis are encouraged to contact their local health department to share the details of this service. Questions about rabies clinics in your community should be directed to your local health department. A directory of local health departments is available at http://www.vdh.virginia.gov/local-health-districts. Virginia’s rabies regulations can be found at http://law.lis.virginia.gov/admincode/title12/agency5/chapter105. These regulations, in part, provide for an exemption to rabies vaccinations for dogs and cats “if a vaccination would likely endanger the animal’s life due to a previously diagnosed disease or other previously documented medical considerations as documented by a licensed veterinarian.” A guidance document has been developed to assist veterinarians with the process of rabies vaccine exemptions which discusses the language of the law associated with exemptions and examples of certain conditions for which an exemption may be appropriate. A standard application form has also been developed for this process. Veterinarians interested in applying for an exemption should discuss the process by which they can apply with their local health departments. Veterinarians are also encouraged to contact their local health departments to report exposures or if they have questions about any of the regulatory language. A directory of local health departments can be found at http://www.vdh.virginia.gov/local-health-districts. For more information about infections that animals might transmit to people, visit the information found on the Fact Sheet, Data and Resources pages below. B-virus is a disease caused by a virus called Cercopithecine herpesvirus 1. It is a disease of non-human primates of the genus Macaca (macaque monkeys) that can also affect people. People who handle infected macaques may be exposed to and become ill from B-virus. The virus can be found in the secretions and tissues of infected primates. Infected primates may appear healthy. Cat scratch disease (CSD) is bacterial disease caused by Bartonella henselae. Cats are the main reservoir of this organism. Anyone bitten, scratched, licked or exposed to an infectious cat or kitten is susceptible to the disease. Any domestic cat has the potential to be a reservoir for this disease. Infectious cats usually appear healthy. 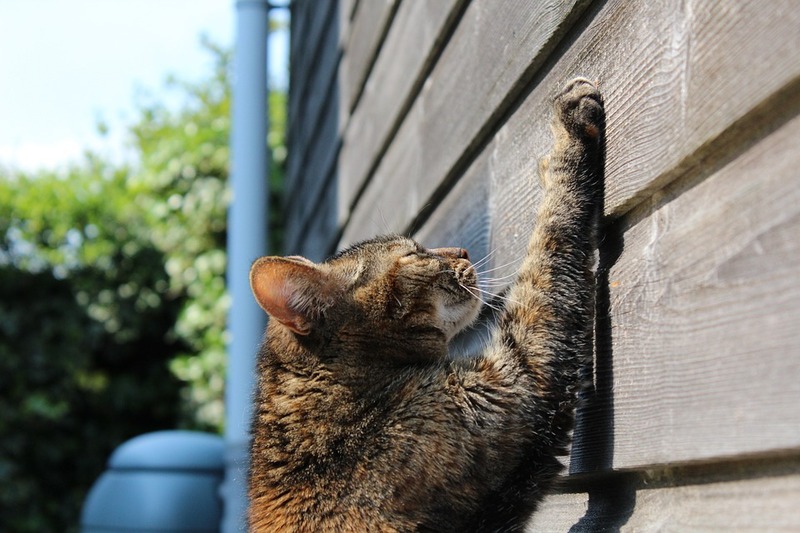 Fleas and ticks that infest cats may be infected as well. Hantavirus pulmonary syndrome (HPS) is a deadly disease transmitted by infected rodents through urine, droppings, or saliva. Humans can contract the disease when they breathe in the virus that is on dust and other debris floating in the air. HPS was first recognized in the southwest United States in 1993 and has since been identified throughout the United States. One case has been identified in Virginia. In 1993, a hiker on the Appalachian trail developed HPS. Lymphocytic choriomeningitis (LCM) is a disease caused by the lymphocytic choriomeningitis virus (LCMV). The virus may be found in about 5% of wild mice throughout the United States. The virus can also infect pet rodents (such as mice, rats, hamsters, gerbils, guinea pigs, etc.). LCM is very rare in humans in the United States. People who have unprotected contact with rodents or their waste/bedding (e.g., owners of pet rodents, laboratory workers who handle infected animals, etc.) are at higher risk of infection. Virus is present in the blood and tissues of infected people; therefore, organ donation recipients have been infected if the donor was carrying the virus. People who have weakened immune systems (e.g., HIV-positive persons, organ-transplant recipients, etc.) are at higher risk of severe disease if infected. Methicillin-resistant Staphylococcus aureus (MRSA) is a bacteria that is commonly found in nasal passages and skin of humans and multiple animals. Methicillin-resistant Staphylococcus aureus is resistant to beta-lactam antibiotics and in some cases to other antibiotics. Although MRSA is primarily found in people, animals can also be infected. MRSA has been recovered from animals including horses, dogs, cats, cows, and pigs. Some of these animals have not been exposed to antibiotic therapy and in several of these cases the MRSA infection appears to result from human-to-animal transfer. Monkeypox is a rare disease caused by the monkeypox virus, which belongs to the same group of viruses as smallpox. Monkeypox virus was first found in laboratory monkeys in 1958. It has also been found in different kinds of African rodents. The first human cases of monkeypox in the United States occurred in the mid-west in 2003. Before 2003, the only human cases of monkeypox occurred in central and West Africa. Plague is a disease caused by Yersinia pestis that affects rodents (e.g., squirrels, prairie dogs, or mice), other mammals (e.g., rabbits or hares), and humans. These bacteria are found in many areas of the world, including the United States. There are three forms of plague: bubonic, pneumonic (lung infection) and septicemic (bloodstream infection). Plague is rare in the United States, with an average of 7 human plague cases reported each year (range: 1–17 cases per year) in recent decades. Cases in the U.S. generally occur in rural and semi-rural areas in the west and southwest. Worldwide, about 1,000 to 2,000 cases of plague are reported every year. Psittacosis is a disease that is caused by the bacteria, Chlamyda psittaci, and is often associated with psittacine (i.e., parrot type) birds kept as pets; however, this bacteria can also infect poultry and non-psittacine birds like doves and pigeons. Most human infections have been reported as having been related to exposure to pet psittacine birds, like parakeets. Human illness with psittacosis has also been documented from exposure to poultry and free-ranging birds including doves, pigeons, birds of prey and shore birds. Q fever is a disease caused by the bacterium Coxiella burnetii. The disease can occur in two forms: acute (short-term) and chronic (long-term). Q fever has been reported from most parts of the world. However, this disease is rare in the U.S., with fewer than 175 cases reported per year during 2005-2013. A total of 21 cases were reported in Virginia during 2005-2013. Sheep, cattle and goats sometimes carry C. burnetii. It may rarely be carried by cats, dogs, rabbits, birds, rodents and ticks. The organism can survive for long periods in the environment (e.g., in dust, wool, straw, fertilizer, etc.). Rat-bite fever (RBF) is bacterial disease caused by Actinobacillus muris and Spririllum minus. In the United States, rat-bite fever is primarily due to infection with A. muris. Rats are the main reservoir of these organisms. People exposed to infectious rat secretions may become ill. Direct contact with a rat is not necessary. RBF is rare in the United States, however, since it is not a notifiable disease, exact numbers of cases are not known. Ringworm is a contagious fungus infection that can affect the scalp, the body (particularly the groin), the feet, and the nails. Despite its name, it has nothing to do with worms. The name comes from the characteristic red ring that can appear on an infected person's skin. Ringworm is also called “dermatophytosis” and “tinea”. Ringworm is a common skin disorder, especially among children, but it may affect people of all ages, as well as animals. Anyone who is exposed to an infected person, animal, or spores within the environment is at risk of becoming infected.